Overlooking the waterfront, The Crown Hotel offers stylish boutique accommodation in Ahuriri, just 5 minutes’ drive from Napier city centre. Guests receive access to a restaurant, fitness centre and 5GB of free Wi-Fi. 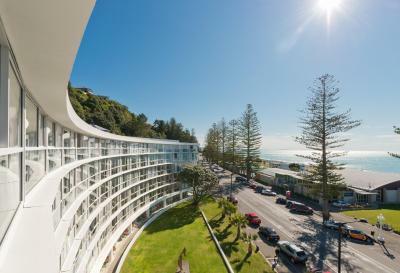 Sea views from all rooms are on offer at Edgewater Motor Lodge, located just 5 minutes’ walk from Napier city centre. Guests have access to an outdoor pool. Free WiFi access is provided in the entire hotel. 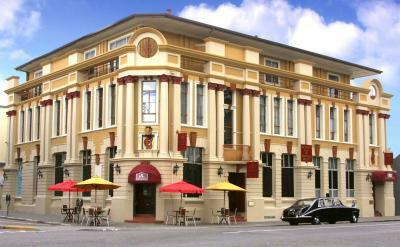 Navigate Seaside Hotel offers contemporary accommodation located just 5 minutes’ drive from Napier City Centre. It is located across the road from Ahuriri Swimming Beach and a children’s playground. Overlooking Hawke’s Bay, Nautilus offers stylish rooms with a spa bath and a private balcony or patio. This Art Deco inspired hotel has an on-site restaurant that is open for breakfast and dinner. Guests receive free Wi-Fi during their stay. Located on the waterfront with panoramic Pacific Ocean views, the Masonic Hotel Napier features free WiFi and historic Art Deco architecture. Guests enjoy 2 bars and 2 restaurants. 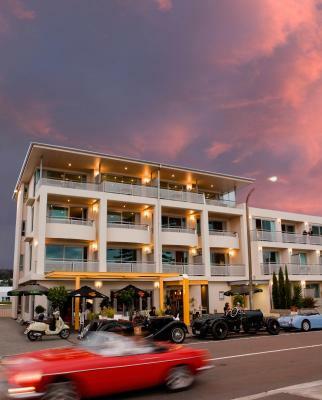 Located in Napier’s vibrant inner harbour area with views over the marina, Bluewater Hotel features a restaurant, a bar and a mini golf course. All accommodation includes a 2-person spa bath and free unlimited WiFi. Just 2 minutes’ walk from the waterfront, East Pier Hotel features free WiFi, a restaurant and a bar. You can enjoy a cup of tea while admiring the sea views from your private balcony.